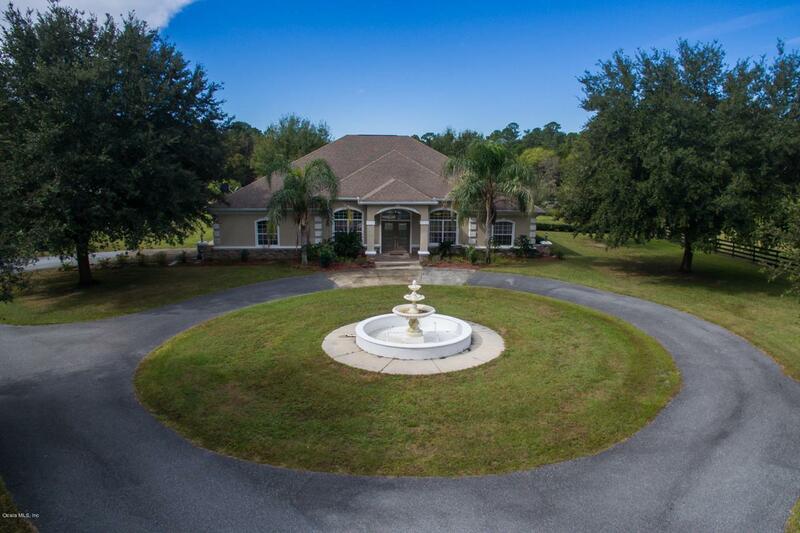 This stunning 50 acre farm is perfectly located in NW Ocala's prestigious horse country. 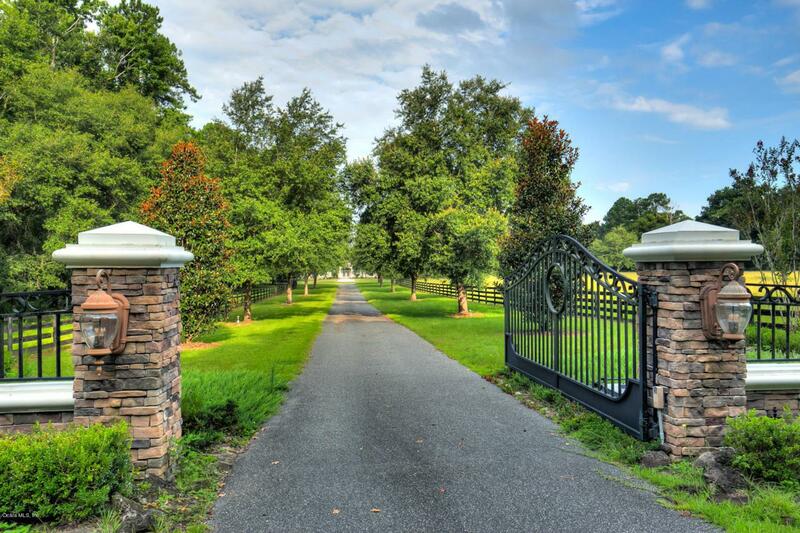 The location provides easy access to horse venues, parks, riding trails, and both Gainesville and Ocala. 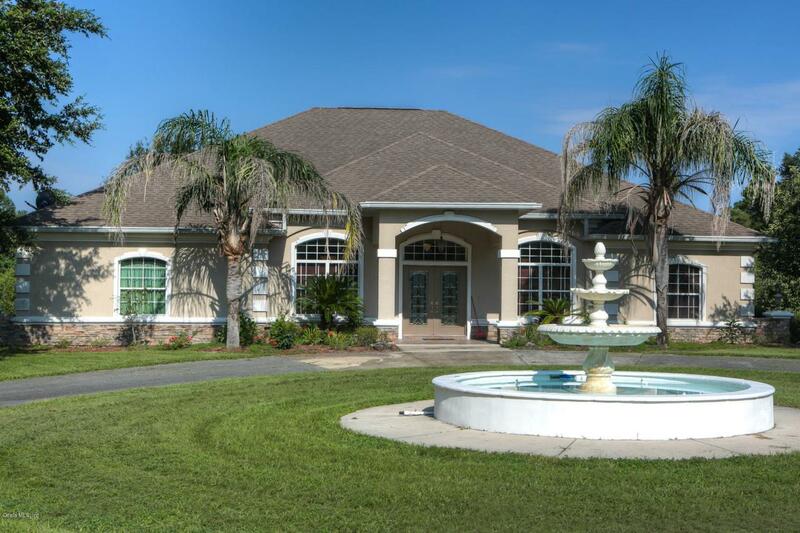 The gorgeous home features many special design elements including tray ceilings, gorgeous fireplace, and a huge chef's kitchen with gas range, granite counters, beautiful wood cabinetry and stainless appliances. This kitchen is a chef's delight, and flows into a dining area with an abundance of windows overlooking the beautiful lush green pastures beyond. The barn is an entertainer's dream, with a full kitchen/bar, and plenty of room for a variety of games and entertainment features. 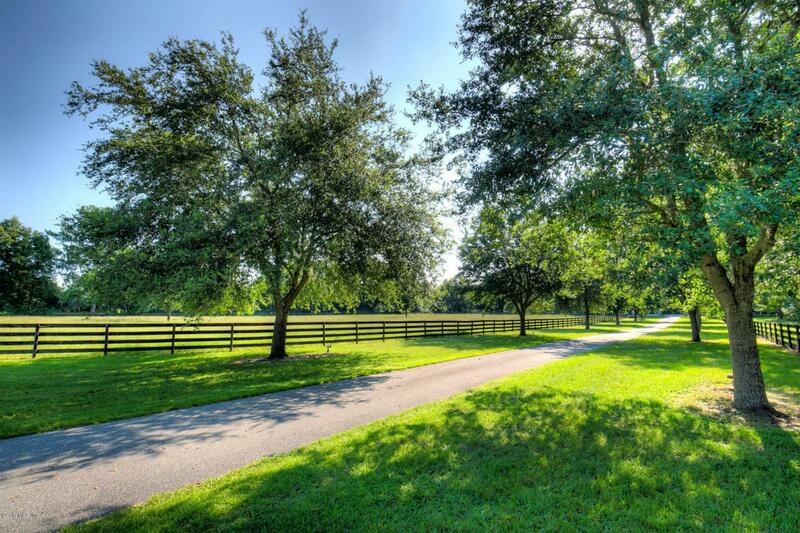 This farm is perfect for the equestrian of any discipline, with enough room for other livestock if desired.